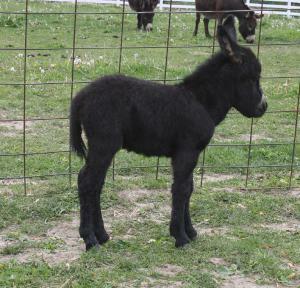 Description: This just shows you never know what you are going to get when you breed two donkeys. 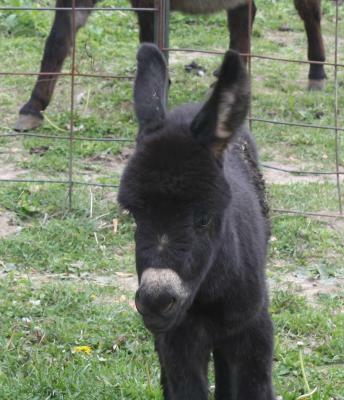 A spot to a spot and we get a beautiful black jennet foal. She is perfect just like a black pearl. 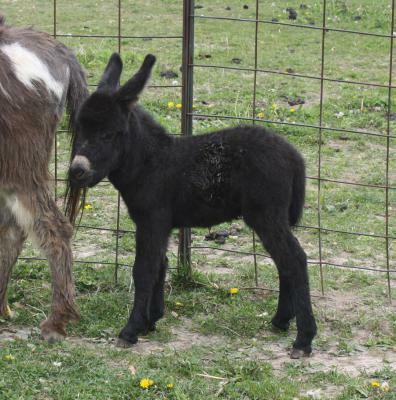 Info: Black Pearl and her dam, Tyger Lilly were purchased at the North East Select Miniature Donkey Sale in West Friendship, Maryland, by Dave and Gail Gordon of Fruithurst, Alabama. 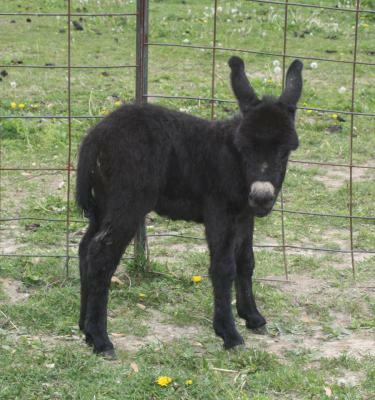 Thank you Dave and Gail, for your interest in our donkeys. We know they are going to a good home!